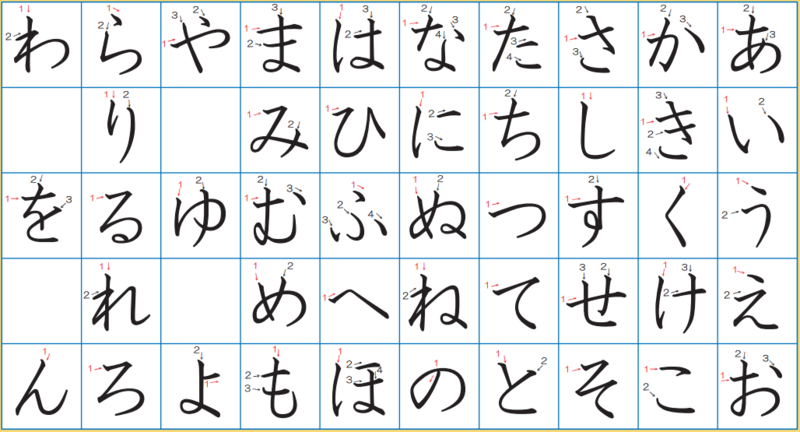 Here’s the hiragana list with stroke order. If you need to review the hiragana first, go to Hiragana. 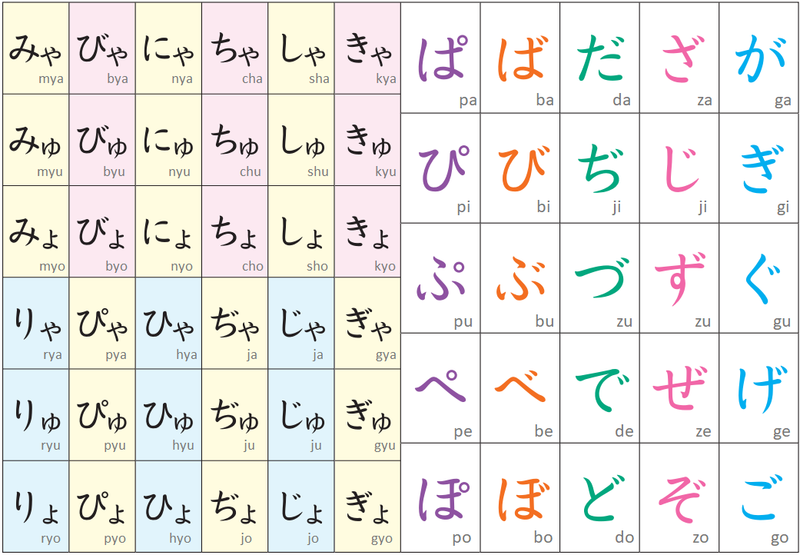 ・Here’s the extended hiragana chart. Some of them have the same sounds but are used differently, such as じ／ぢ (ji) and じゅ／ぢゅ (ju). They are not interchangeable. Make sure ゃゅょ (ya, yu, yo) on the left side of the chart are written smaller when you practice writing. This っ (tsu) is smaller than the full size つ (tsu). When there is a small っ (tsu) between two hiragana, you have to pause slightly between them when pronouncing it. Typing double consonants will produce small っ (tsu). If you have any questions, please comment. If you have the answers or advice to the other users, please help each other and build our friendly community here. Thank you! I hope it is alright to share a related resource here? I put together a little guide for handakuten [ ﾟ] and dakuten [ ﾞ], and the little や、ゆ、よ, and つ. If anyone is interested in reading it, they can access it Here. Hello! I would like to know... is there any difference between the "ji" sound in ぢ and the one in じ? And what about the "zu" in づ and ず? Thanks! ぢ / じ and づ / ず are the same sounds but spelled differently, depending on the words. There are only a handful of these exceptions. Here are two examples. ・つづく (continue) --- つ＋つ＋く : The second つ is hard to pronounce when you do つ x 2, so became づ. ・そこぢから ( real strength) = そこ＋ちから : Two words are combine into one word, thus ち became ぢ. Don't worry, they're the same sound represented in different kanas. It looks like you are essentially making tips and notes for your Japanese course here. Is there any plans to include these as actual tips and notes when the course gets a web release? Thanks a lot for your work. 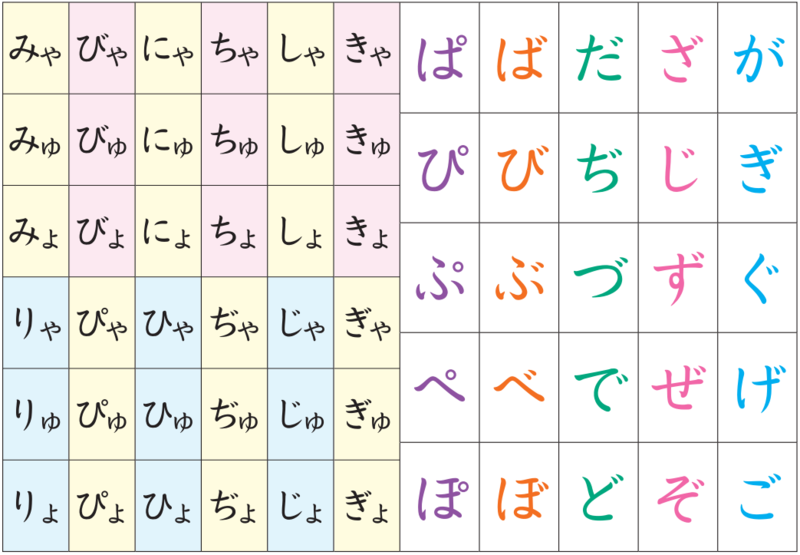 Small problem: The link "click to enlarge for "Here’s the extended hiragana chart." does not work for me. Thank you for pointing it out. This link is the same chart as the one below, but I added the link anyway for easy access. It's an easy fix though - it just points to "KVxuMHT.pn" instead of ".png", it's just missing the final "g" in the extension.